Could probiotics cut our need for antibiotics? Probiotics could help in the fight against antibiotic resistance, a new study suggests. Researchers in the US, UK and Netherlands reviewed 12 studies on the health outcomes of infants and children who received a daily probiotic supplement. The US lead author Daniel Merenstein, of George Washington University, admits they were somewhat surprised by ‘how strong the findings were’ showing that those who took probiotics did not need as many antibiotics. The study is one of the first to probe this connection, but Dr Merenstein and his colleagues in Cambridge and Utrecht insist it offers exciting prospects as the medical community grapples for ways to slow antibiotic resistance. Antibiotic resistance is widely acknowledged as the most critical issue facing modern medicine. The overuse of these drugs has allowed dangerous viruses and bugs to become acquainted with their defense mechanisms. Increasingly, bugs are getting savvier, adapting and mutating in ways that are even difficult to quash with combinations of antibiotics. Dr Merenstein, director of the research division for family medicine, has been studying antibiotic resistance for years, looking at prevention strategies and trying to uncover alternatives. In the last few years, during trials and panels, probiotics have come into his sphere. Probiotics are live bacteria, microorganisms found throughout the human body and in other things, like fermented food products. Though probiotics are hardly a recent phenomenon, 20th century Russian zoologist Elie Metchnikoff is credited as the first to have suggested that they could benefit human health in 1907. Fast-forward a century, and it’s hard to walk through a pharmacy or a supermarket without seeing stacks of milks, yogurt drinks, and bottles of tablets marketed as being ‘filled with probiotics’. More and more, we’re told to consume them as much as possible, in part due to the recent boom in research on gut microbiota. Research is still in its early phases but scientists are coming to understand that each person’s individual make-up of gut bacteria can affect everything from their sleeping patterns to brain health to (as is key for Dr Merenstein’s study) immunity. 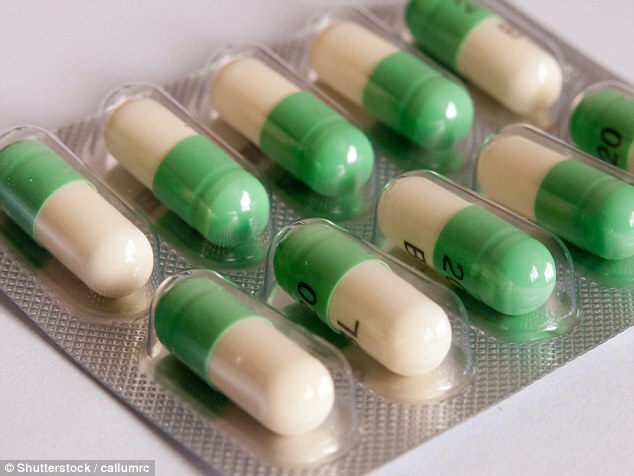 ‘Obviously antibiotic resistance is a huge problem,’ Dr Merenstein told DailyMail.com when the study was released on Friday in the European Journal of Public Health. The results were stark – more, even, than Dr Merenstein and his colleagues had expected. Gathering data from 12 studies, they found infants and children were 29 percent percent less likely to have been prescribed antibiotics if they were already taking a daily dose of probiotic supplements. They then cut down the quota, to only include the more rigorous studies. In that selection, the correlation was even stronger: kids were 53 percent less likely to need antibiotics if they were taking probiotics. Dr Merenstein cautions that this is merely the first study to show such a connection, and more studies are needed. And when it comes to probiotics, as most in the field agree, this is still an imperfect solution. The goal with all areas of medicine is that it should be individualized. A group of Israeli researchers, who are pioneering much of the world’s gut health research at the moment, have published two acclaimed studies showing that our approach to administering probiotics is flawed: each person’s make-up of bacteria is different, so getting everyone to dose up on a general cocktail of bacteria may work for some but not for others. Dr Merenstein agrees, but he says that the reality is ‘we’re still really far off’ from having a technique to map each person’s microbiome and match them to their ideal probiotics. ‘For diet, for exercise, for drugs, we think that everything should be individualized, but aside from something like cancer drugs, it’s just not possible yet,’ he said.